How Much To Insure My Pickup Truck? 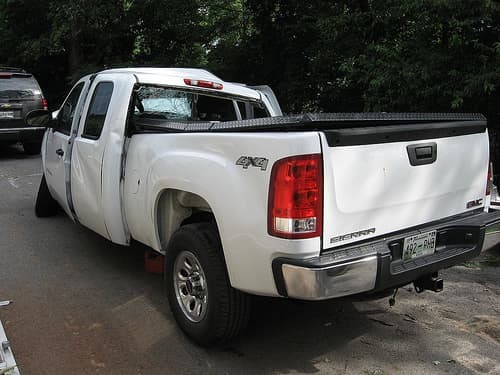 If you’re considering getting a pickup truck, you’ll naturally have to consider how you’re going to insure it. As everyone knows, it’s illegal to drive without insurance – and it will probably end very badly for you if you try to! There are two main kinds of insurance that people tend to use for vehicles like pickup trucks, and they each have their own set of drawbacks and benefits. Liability-only is the very cheapest and most basic form of vehicle insurance that everyone is absolutely required to have in almost every part of the world if they are going to drive on public roads. It has plenty of pros – it’s cheaper than other policies; it’s easier to find, qualify for and maintain than you might imagine and it makes sure that you’re legally allowed to drive on the roads. It is not, however, without its drawbacks. If you do find yourself involved in an accident, it will only pay anything out if it’s found that the accident was your fault (and therefore that you are liable), and it’s very unlikely indeed to pay out enough to cover the actual cost of damages incurred. You want to be extremely careful if you’re choosing this kind of insurance that you can afford to deal with costs if they arise, and that you’re as safe and responsible a driver as you can possibly be. Full-coverage is the more classic form of insurance coverage, and if something goes wrong you’ll find that it’s a far more helpful thing to have. It will almost certainly be able to pay out something far closer to the actual cost of the repairs needed for either your car or that of anyone else involved in the accident, and you’ll be much safer in the event of an emergency. It will also often pay out for some kinds of non-emergency repairs, such as those incurred by the failure of an MOT. Of course, all this extra coverage comes at a price; you’ll find that this is a more expensive policy per month than liability-only, for all you’ll probably make that money back if you need to take a couple of claims. Of course, you need to make your own decision about the kind of insurance that’s best for you – but it’s worth bearing in mind that you could save a lot of money in the long term by spending more in the short.